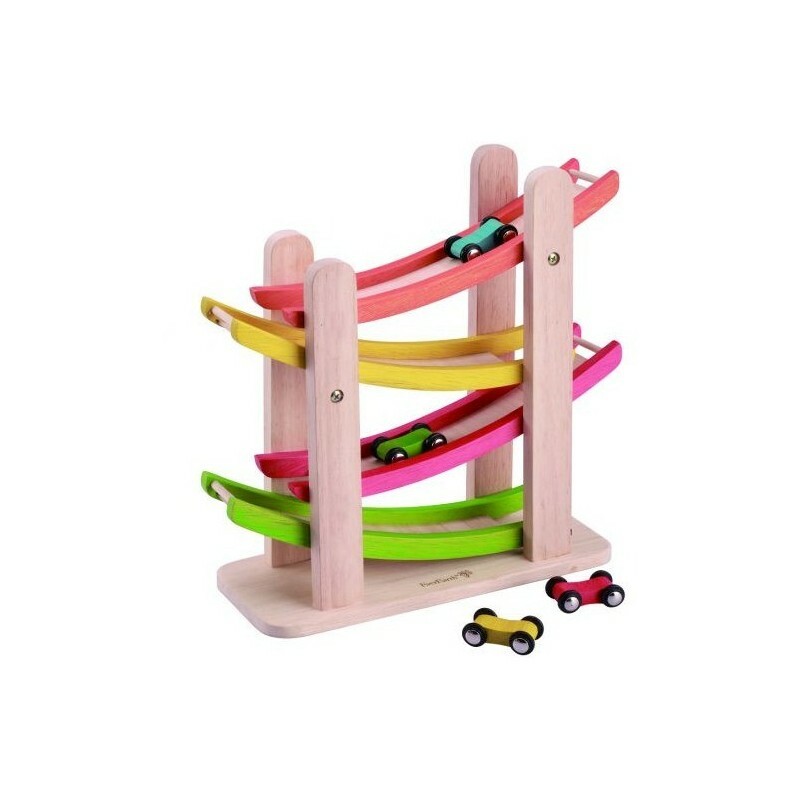 This ramp racer is made out of 100% FSC Certified wood and painted with non-toxic water-based paint. 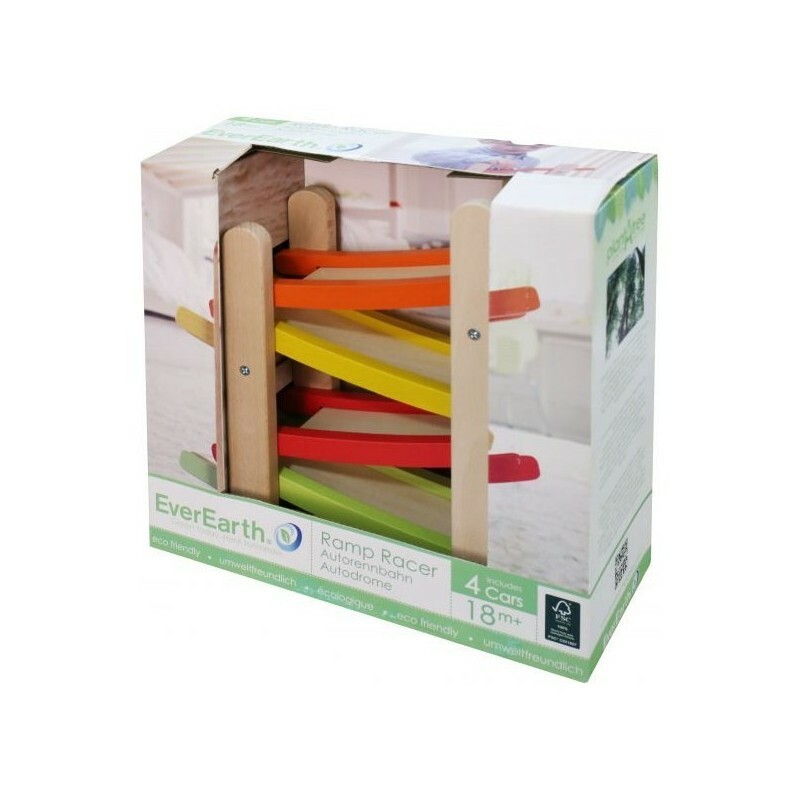 This eco-friendly toy gives hours of unplugged fun and helps to build concentration and hand-eye coordination. Includes 4 cars. Ages 18+ months. Suitable for ages 18+ months. 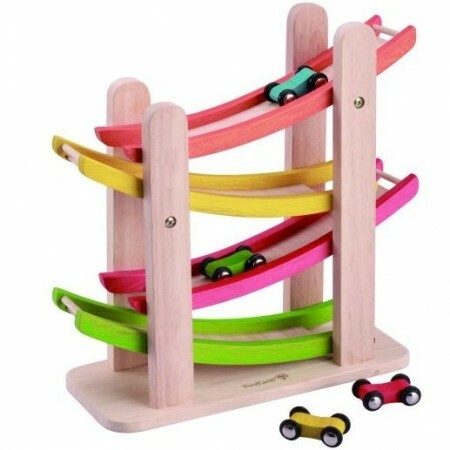 Brightly painted wooden race track with 4 wooden cars. 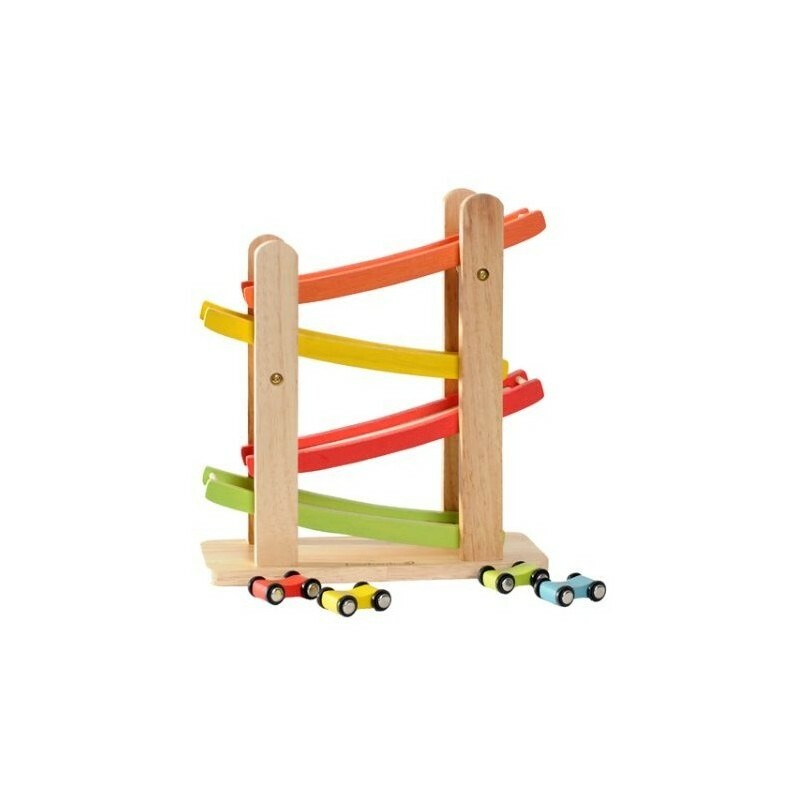 My 2 year old loves this, and even his big brothers love to play with it too! Keeps them happy for ages! Very durable and high quality. My kids love this one, watching the cars go down again and again! We bought one of these a while ago, and it's now onto our second child, still going strong. Well built, both kids love watching the cars race down. Easy to learn, they can pretty quickly work out how to make the car go properly, and then see how fast they can restack them.